Are you on the fence about replacing a missing tooth with a dental implant? Before you proceed with treatment, make sure you have all the facts, including the incredible benefits of dental implants. Here, trusted dental implant provider Dr. Michael Cortese of Princeton Prosthodontics shares why so many of his patients enjoy healthy, beautiful smiles, thanks to dental implants. Dental implants strongly resemble natural teeth and are nearly impossible to detect in the mouth. The crown or bridge that sits on top of the gums is custom-crafted from high-quality materials to mimic the appearance of the surrounding teeth. If you have an implant placed, you can rest assured that your implant will blend seamlessly into your mouth. You won’t get tired of sharing your beautifully improved smile! Your implant should feel no different than a natural tooth. Since the implant post is surgically placed in the jawbone, it provides a reliable foundation for an artificial tooth that is screwed to the top of the post. The tooth should feel comfortable and stable in your mouth. Implants restore normal chewing function and allow you to enjoy all of your favorite foods. Some people with missing teeth find it difficult to chew normally, and some even suffer malnutrition because their chewing ability is so severely compromised. With dental implants, you can eat a well-rounded diet, including meat and vegetables, with no problems. Chewing normally on the implant keeps the underlying jawbone stimulated. 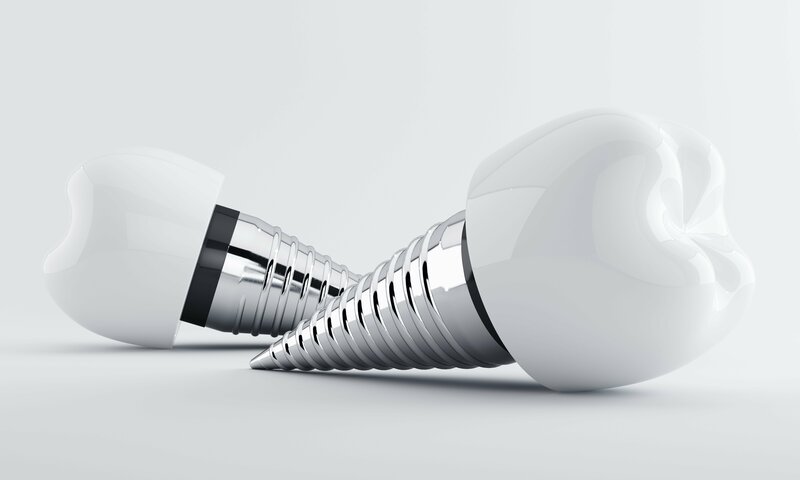 This is an important quality of implants and what distinguishes them from other tooth replacement options (such as dentures) that don’t have a component that reaches the jawbone. Stimulating the jawbone is critical to keeping it intact and a stable foundation for the rest of the teeth. Without stimulation, the bone starts to deteriorate and can lead to the collapse of the facial features. Dental implants are cavity-resistant and easy to clean. They can be brushed and flossed like normal teeth. They don’t rely on or affect the integrity of the surrounding teeth — meaning the adjacent teeth do not need to be ground down to make room for the implant, nor does the implant attach to them. With the proper care, dental implants can last for many years without any problems. To learn more about dental implants and determine whether you are a good candidate for implants, please contact Princeton Prosthodontics and request a consultation with Dr. Cortese. You can reach us by calling (609) 683-8282 or via email.